Retro 90s Video Games Online For Free! 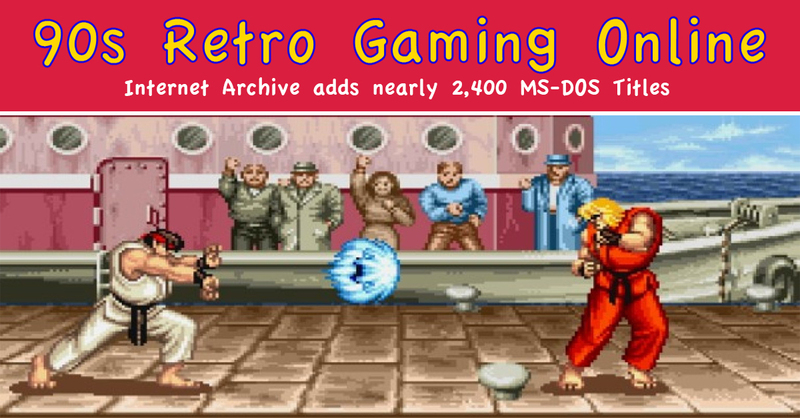 After releasing almost 900 classic, coin-operated arcade games late last year, the Internet Archive have released nearly 2,400 MS-DOS 90s video games online, free and playable in-browser… there goes the afternoon! We’ve reached back into our teen brains and picked out a handful of our favourites. Hadouken!!! Need we say more? Street Fighter & Super Street Fighter II are also there. If you have to play one Disney game it would have be Aladdin, but The Lion King is also worth a run. After countless hours watching (sometimes pushing) the original Lemmings fall to their death, we couldn’t wait for Lemmings 2 to come out. Long before Jake Gyllenhaal pranced about in the sands of time, and before parkour was a thing, we bounced off walls and were leaping over pits in stunning 2D. Nothing to do with Young MC, Bust-A-Move featured Bub & Bob of Bubble Bobble fame in a proto-Bubble Witch Saga if you will. What can you say, Sim City, the game that launched an entire universe of pointless never-ending titles that continue to spawn to this day.